WASHINGTON – Media reports raising safety concerns about osteoporosis drugs known as bisphosphonates may have contributed to a sharp drop in their use – even though U.S. doctors and drug regulators haven’t recommended against taking them, a study suggests. Fosamax (alendronate sodium) won U.S. marketing approval in 1995. Widespread use of the drug and others like it over the next two decades coincided with a dramatic drop in hip fractures, the researchers note in the Journal of Bone and Mineral Research. Starting in 2006, a series of media reports highlighted research linking the drugs to rare but serious side effects, including unusual fractures of the thigh bone, death of bone tissue in the jaw and esophageal cancer. After that, use of the drugs plunged by more than 50 percent between 2008 and 2012. Even though a decline makes sense, given the negative publicity, “the magnitude of the decrease was surprising,” said senior study author Timothy Battacharyya, a researcher at the National Institutes of Health. Each year, one in three adults over age 65 experiences a fall, the leading cause of fatal and nonfatal injuries among the elderly, according to the U.S. Centers for Disease Control and Prevention. For older women, the risk of fall-related injuries is compounded by osteoporosis, or thinning bones, which occurs when production of the hormone estrogen declines after menopause. Fosamax, as well as similar drugs such as Actonel (risedronate sodium) and Boniva (ibandronate sodium), work by slowing down the process by which the body removes old bone, which allows time to rebuild normal bone. The drugs can help prevent bone loss and also regrow bone to make fractures less likely. Using data from Google, Battacharyya and colleagues looked at patterns in online searches for Fosamax and other bisphosphonates, and found a series of spikes from 2006 to 2010 that lined up with heavy media coverage of side effects associated with the drugs. The first prominent spike in the Google data lined up with media reports about the first lawsuit filed against Fosamax maker Merck & Co. over the death of jaw tissue. Another surge in Google searches occurred in 2008 after a study in the Archives of Internal Medicine linked the drug to an increased risk of an arrhythmia called atrial fibrillation. There was also a sharp increase in 2010, when ABC World News aired a segment highlighting studies being presented at the American Academy of Orthopedic Surgeons linking Fosamax to atypical fractures of the femur, or thigh bone. Oral bisphosphonate use peaked at 15.8 percent of women older than 55 in 2008, and topped out at 1.9 percent of men in 2010. White women, rural residents and women with less than a high school degree were more likely to shift away from the drugs, the study found. While there’s plenty of evidence that news reports influence health beliefs and behaviors, that may not be the main culprit in the case of bisphosphonates, said Andrew Grey, a bone researcher at the University of Auckland in New Zealand. That’s because the first reports of jaw bone damage for these drugs surfaced in 2003 and 2004, without leading to a drop in prescriptions, said Grey, who wasn’t involved in the study. And newer medicines for osteoporosis introduced after 2006 may have siphoned sales from the decades-old bisphosphonates, he added. 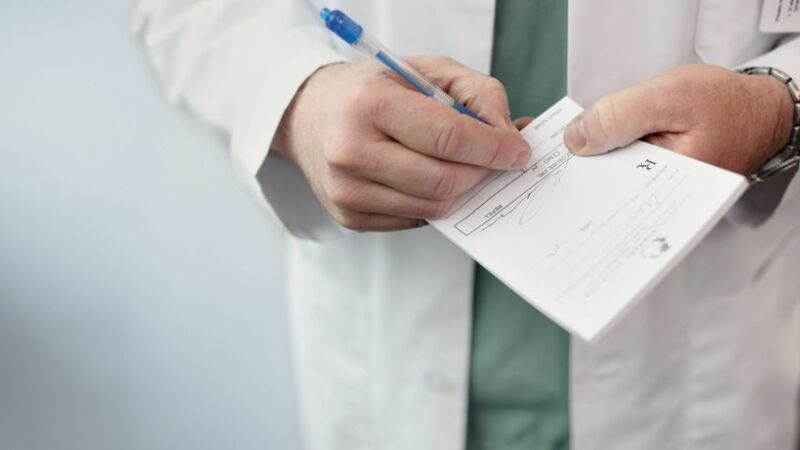 “The inference that the media stories were a major influence on prescribing trends for bisphosphonates should be treated with caution,” Grey said by email. Concerns about the safety of these drugs also overlooks the risks of failing to treat osteoporosis, noted Dr. Matthew Drake, a researcher in endocrinology at the Mayo Clinic College of Medicine in Rochester, Minnesota.